A citation index is an ordered list of cited articles along with a list of citing articles. The cited article is identified as the reference and the citing article as the source. The index is prepared utilizing the association of ideas existing between the cited and the citing articles, as the fact is that whenever a recent paper cites a previous paper there always exists a relation of ideas, between the two papers. Citation indexes have proved to be better than the other indexes and can be prepared without many complications. They are also amenable to computer manipulation. Citation indexing provides subject access to bibliographic records in an indirect but powerful manner. Since the citation or reference to another scholar’s work implies an intellectual connection between citing and cited publications, one can make the fundamental assumption that the citing and cited publications deal with either the same or closely related subjects. 1. 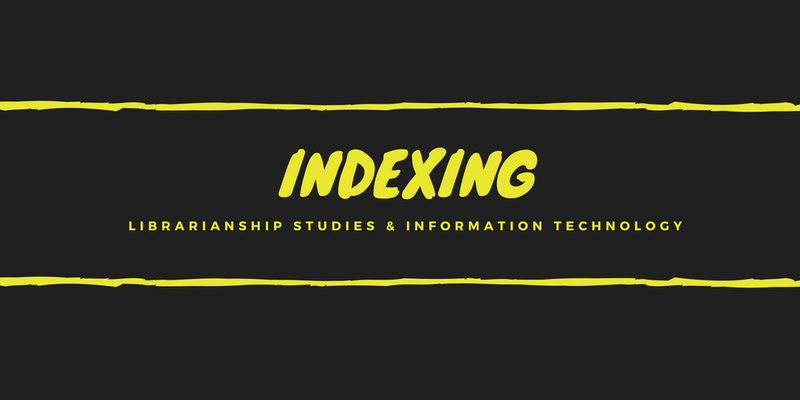 Citation indexing eliminates the need, for intellectual indexing; it has the potential of being automated to a large degree. 2. Citation indexing overcomes the problems of vocabulary and semantic difficulties. 3. It overcomes the language barrier, because citation patterns, especially in scientific disciplines, are similar across languages. 4. Literature searches using citation indexing are highly effective in gathering a large number of relevant documents quickly. 5. Objective factors such as the number of citations and frequency of being cited can be used in introducing various weighting and other procedures to improve the quality and effectiveness of retrieval.